At the time of my initial appointment to the Wilson Center, it struck me that something was missing from the general discussion in the United States concerning China’s embrace of clean energy and its implications for the United States. Much of what had been written embraced one of two polar positions. 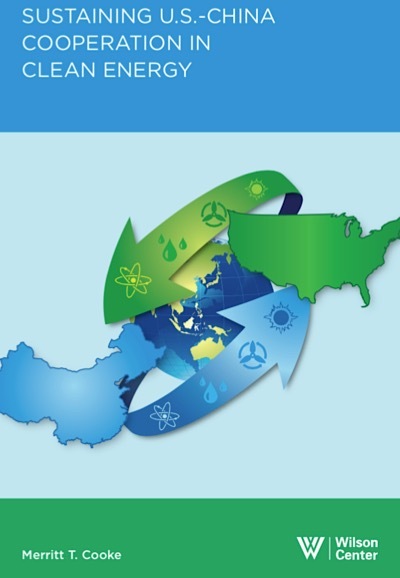 It seemed that the U.S.-China relationship in clean energy was either the best avenue for our cooperation or the measuring stick for our final competition. To a casual but concerned reader, the message was confusing. Newspaper “word-bites,” rather than informing discussion, lent anxiety to the existing confusion. Click here to go directly to the full article or read it below. This week’s featured article on Generocity.org is a wonderful piece on China Partnership by writer Erin Kane. In the article, you can read Erin’s interview with CPGP Director, Terry Cooke, and learn more about the recent impact of Mayor Nutter’s trip to China early last month. Philadelphia is looking to put itself on the world map. After recent missed opportunities like the Olympics and direct international flights, focus on making Philly an international city has taken center stage with local private and public groups. This past Wednesday, Philadelphia City Council, along with Senator Mike Brubaker, convened a panel of local professionals to discuss what else the city might be missing out on and how to renew international interest in the area. On the panel was China Partnership of Greater Philadelphia founder and director, Terry Cooke, who testified on the great potential the area has in working with China on clean energy, cultural and educational initiatives. Following the announcement that China Partnership of Greater Philadelphia will be joining Mayor Michael Nutter on his first trip to China, CPGP founder and director, Terry Cooke, was interviewed by Mike Dunn of CBS Philly and KYW 1060 News Radio on the significance of the trip and its implications for sustainability in Philadelphia. PHILADELPHIA (CBS) - Mayor Nutter is leading a delegation of local civic and business leaders on a week-long trip to China starting today. Also going are representatives of the Philadelphia Orchestra, the Fox Chase Cancer Center and Drexel University. Nutter planned the trip after he was invited to speak in Beijing to a conference on urban sustainability. The 12-member delegation includes four other city officials besides Nutter. Among them is the CEO of the airport, Mark Gale, who plans to discuss with airline officials there the idea of direct flights to Philadelphia. The mayor’s spokesman, Mark McDonald, says the cost to taxpayers for the five city officials who are traveling is estimated at between $8,500 and $9,000 total, covering airfare and accommodations. 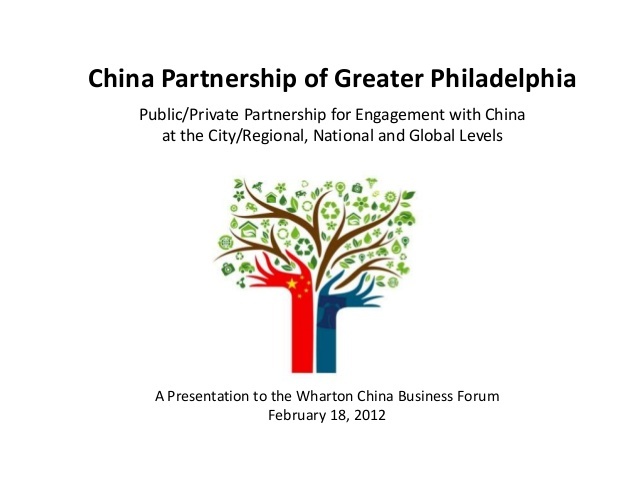 Copyright © 2015 China Partnership of Greater Philadelphia. All rights reserved. Site developed and managed by: The Delmarva Group, LLC.